French Songs Mardi Gras is available for instant download! 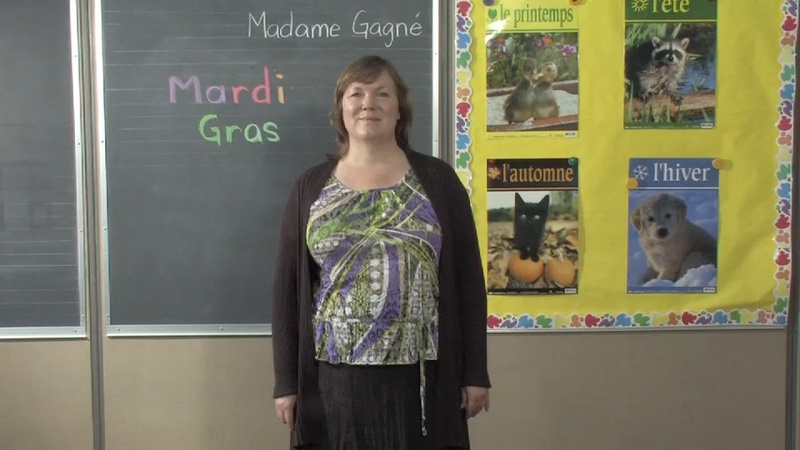 French Songs Video — Mardi Gras Mardi Gras is a holiday that literally means "Fat Tuesday". It is celebrated in many parts of the world, with Rio de Janeiros and the city of New Orleans being two of the most famous places. Although in those cities the Mardi Gras celebrations can last for a week, it's original purpose was to have a bit of indul­gence before the fasting and abstinence of the Catholic season of Lent. The date for Mardi Gras changes every year, as it is tied to Easter, which also has variable dates. Mardi Gras is the day before Ash Wednesday, which marks the official start of Lent. Lent is a solemn period of 40 days of preparation which precedes Easter.